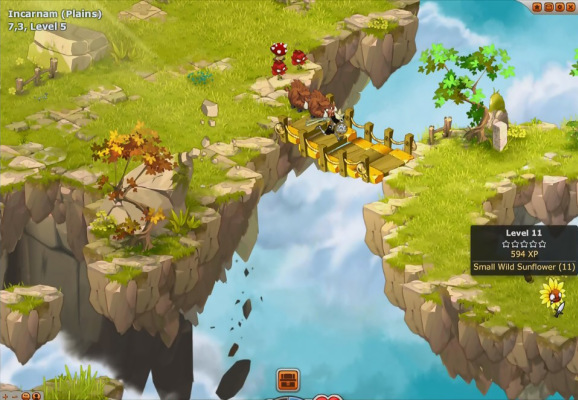 Dofus is a 2D tactical Fantasy Role Playing MMO Game from Ankama Studio set in a colourful, amusing and enchanting universe. 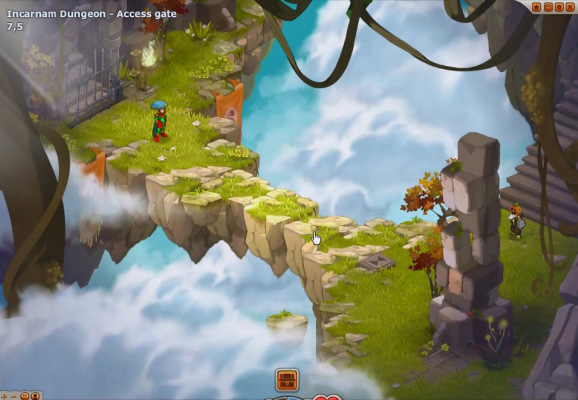 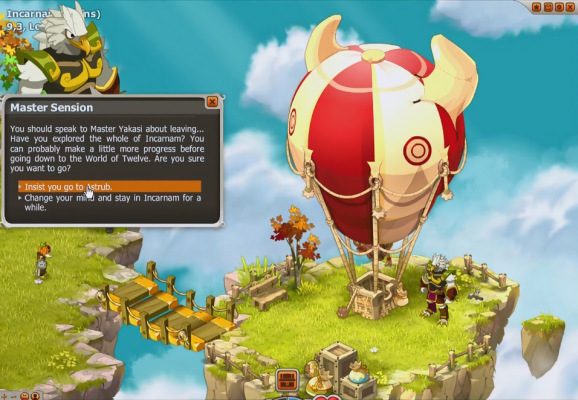 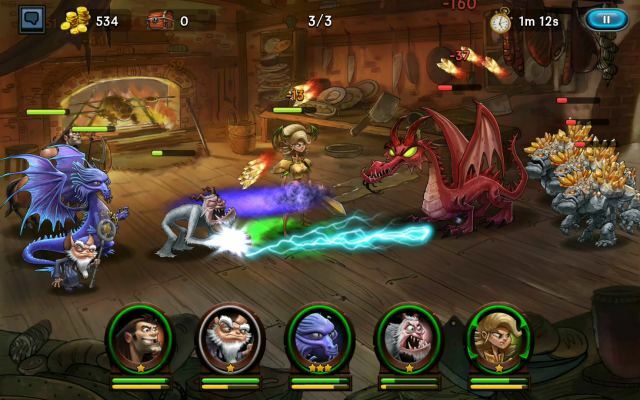 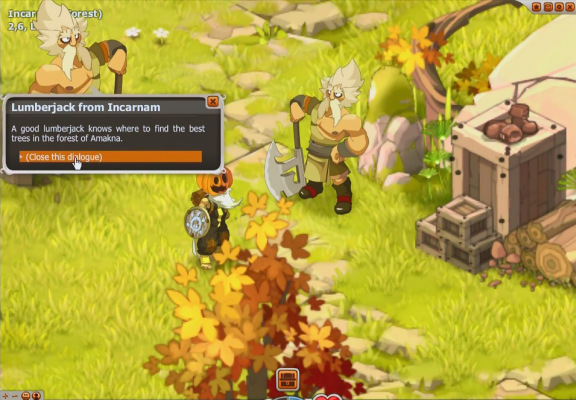 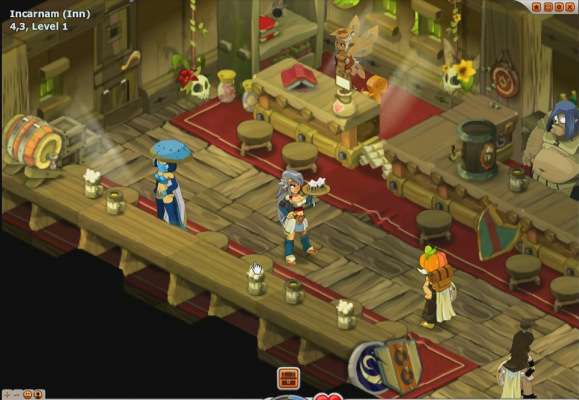 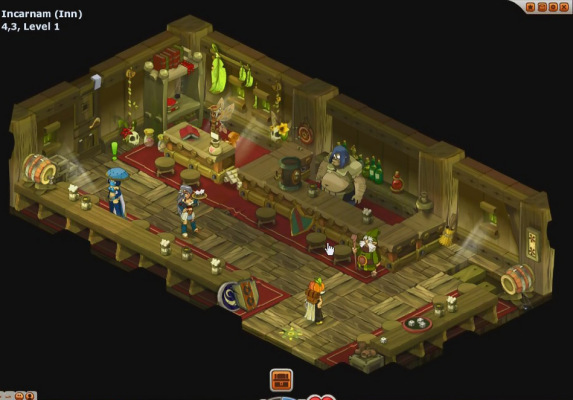 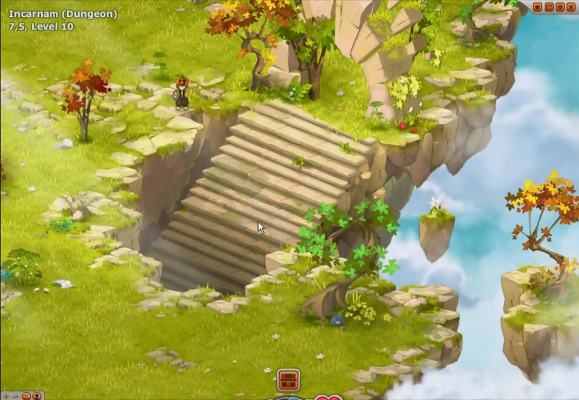 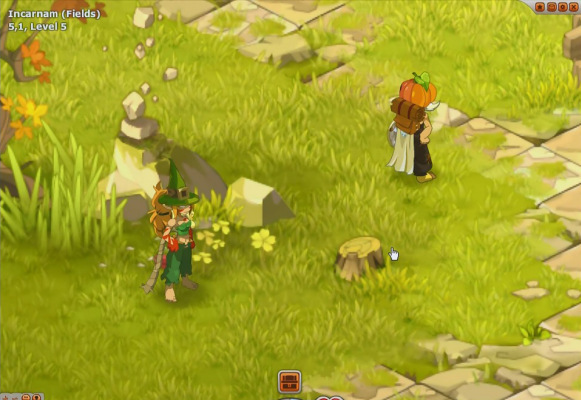 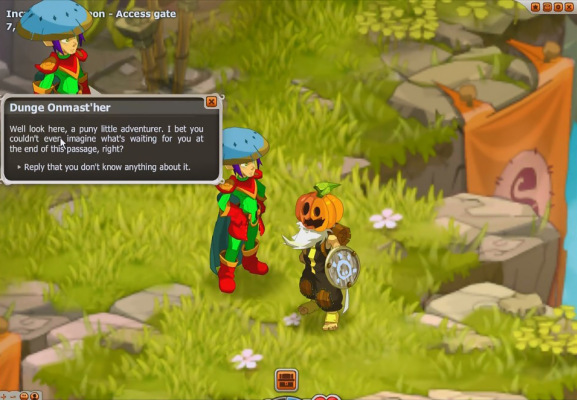 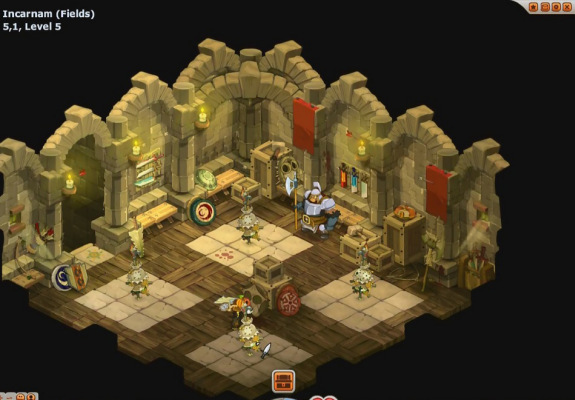 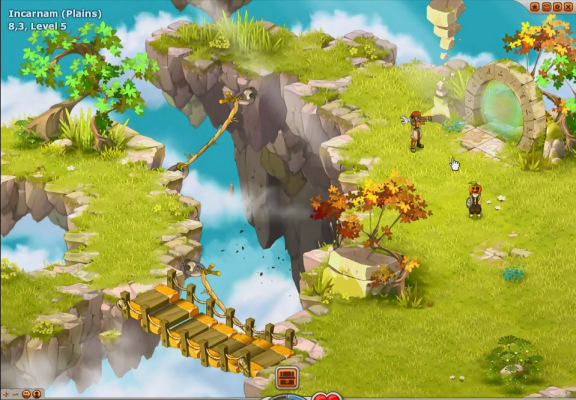 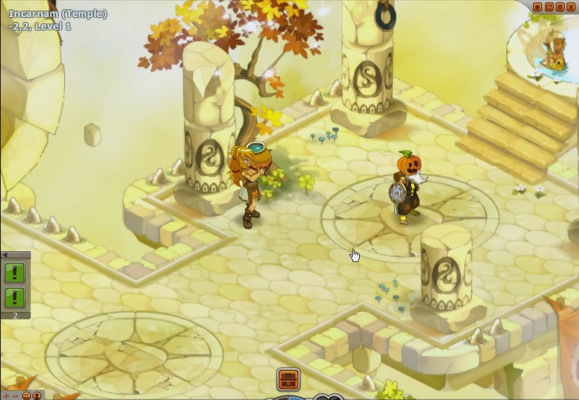 The cartoony graphics and turn based combat give the game an old RPG feel, players may be shocked to learn that Dofus has 14 character classes (male and female characters for each) and probably, in time more will follow. 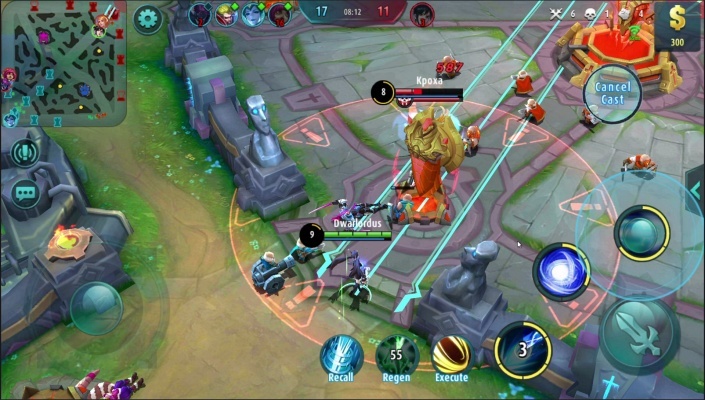 Variety is a strong point in the game. 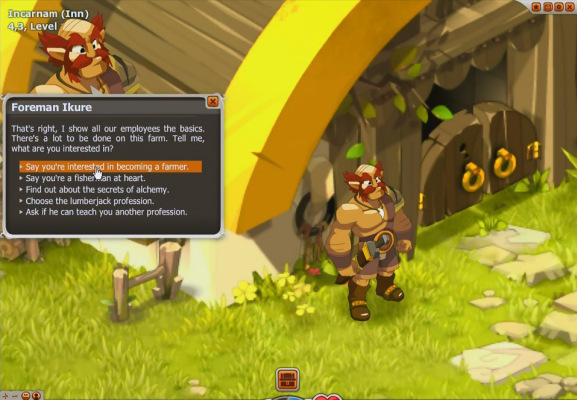 The character models for these classes vary greatly, you can be a tall, strong knight or a short, old granny and so much more weird character. 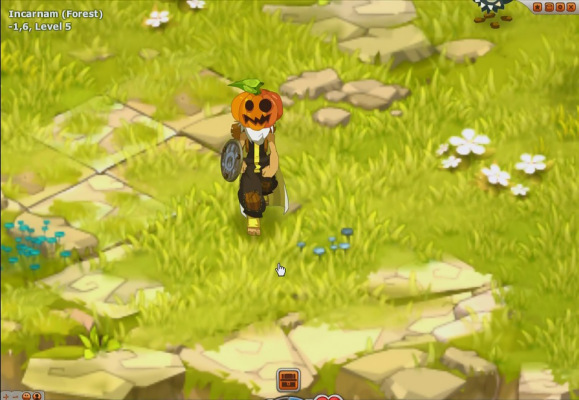 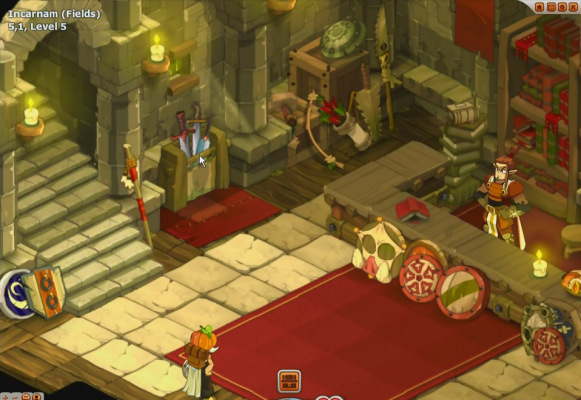 Dofus let's players customize their characters clothing and skin colors which is as much customization as you can get for from a 2d game. 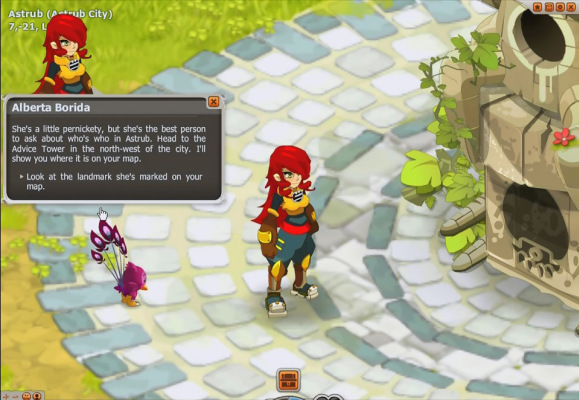 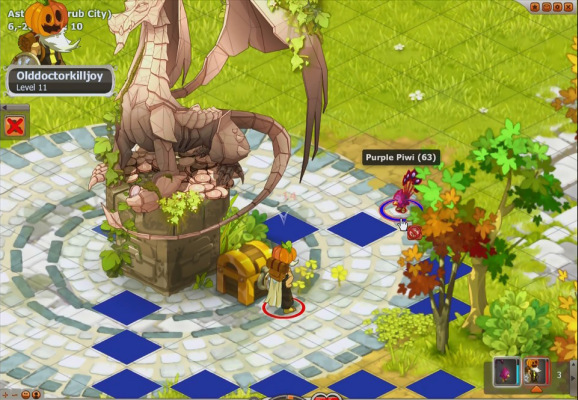 The world map is huge, and there is a large variety of areas and monsters. 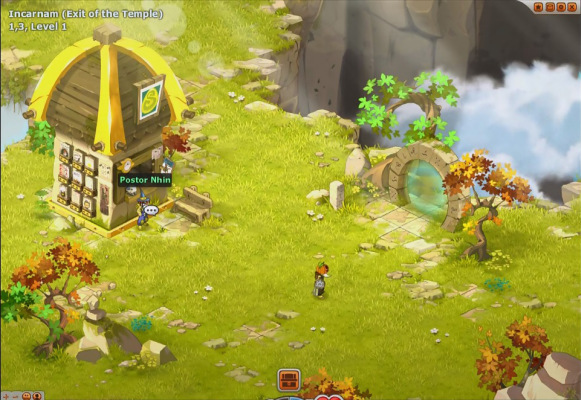 The artwork is quite nice too, and I especially like the details on the buildings and inside them. 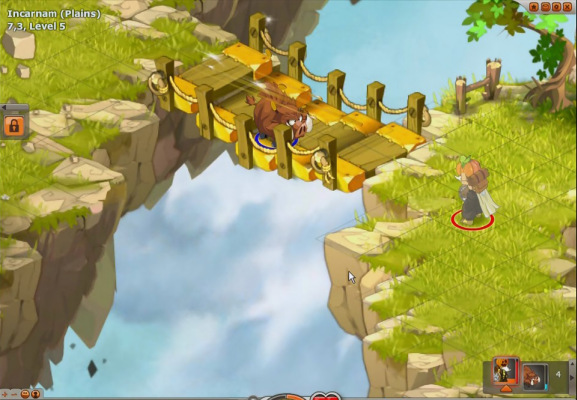 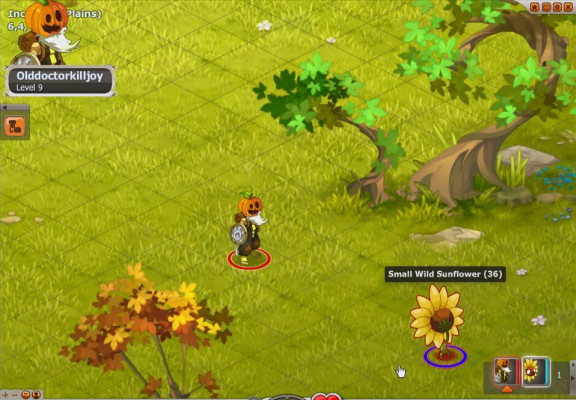 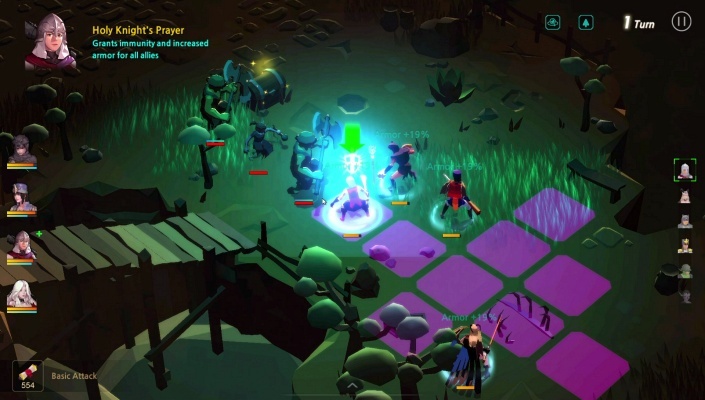 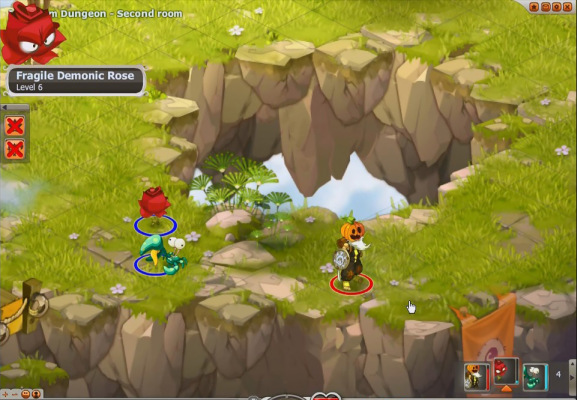 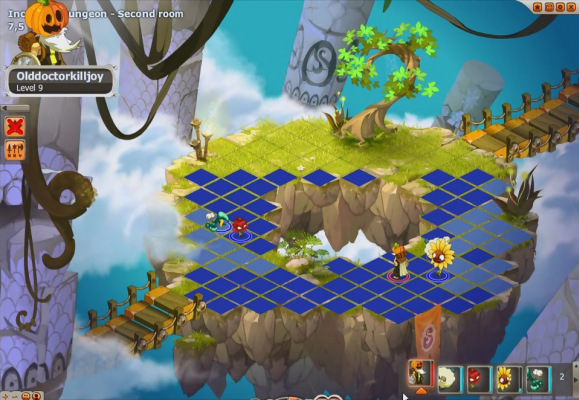 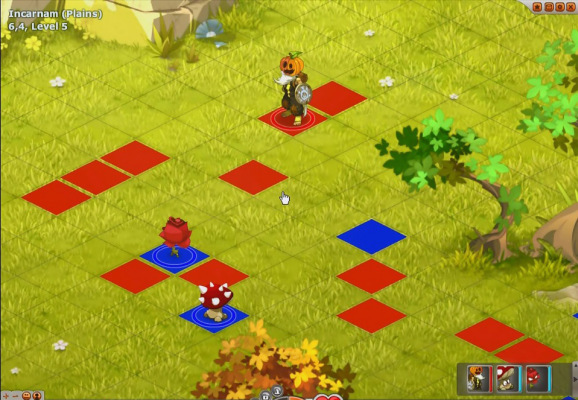 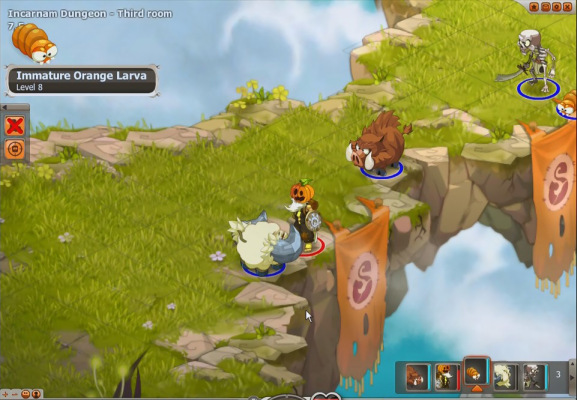 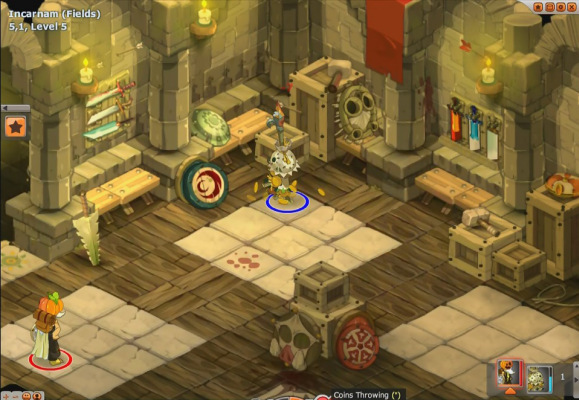 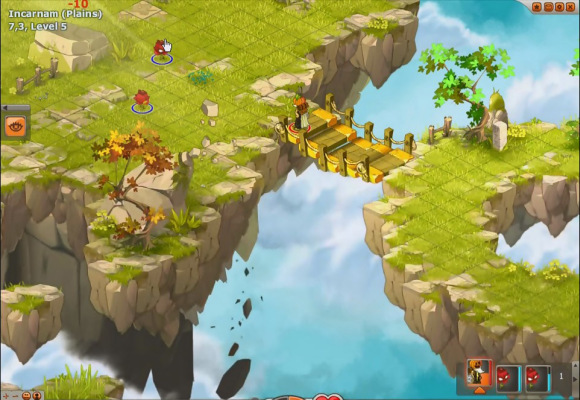 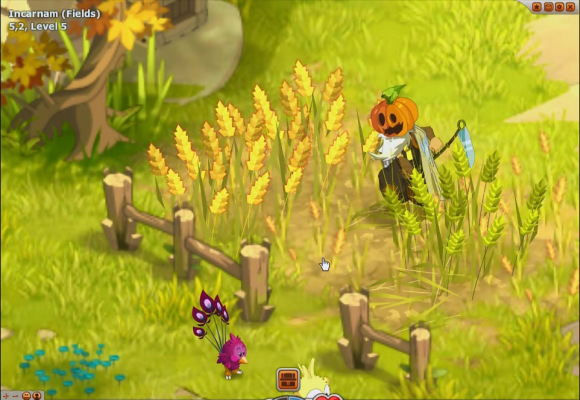 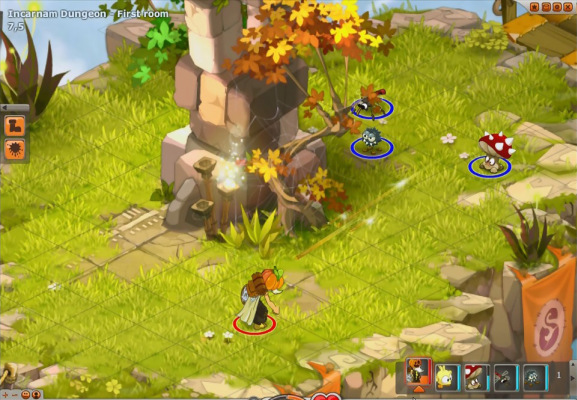 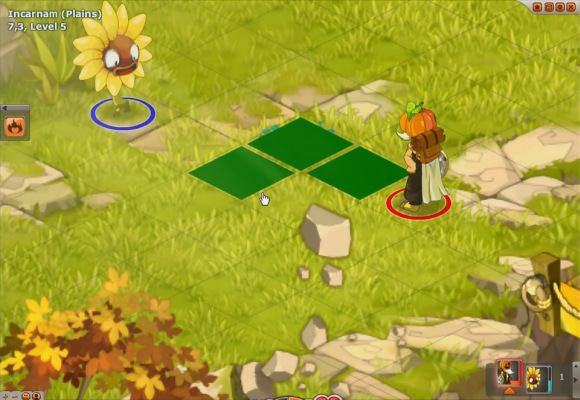 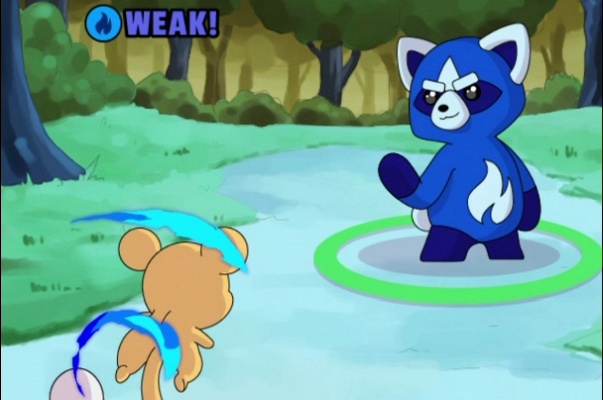 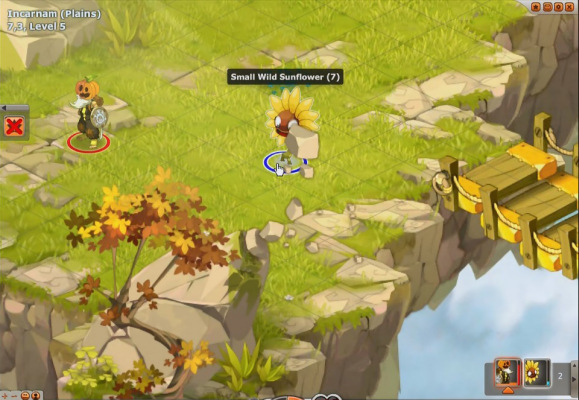 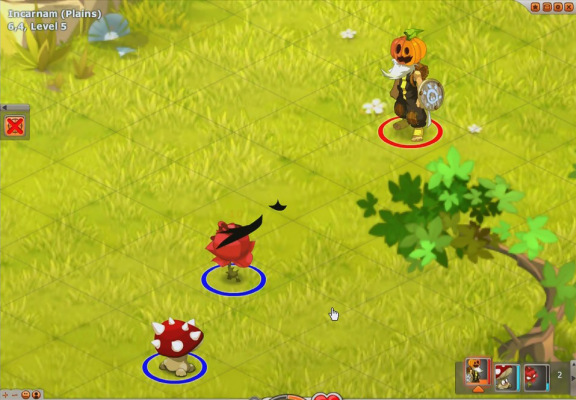 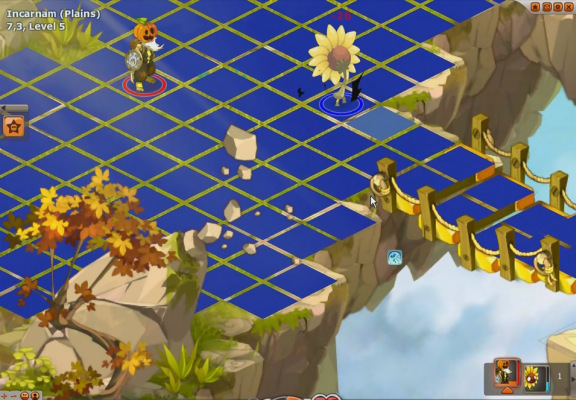 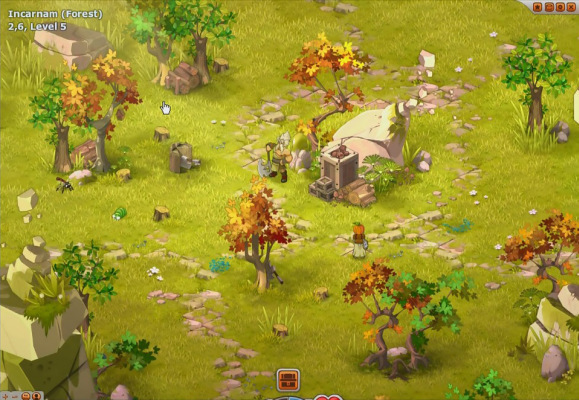 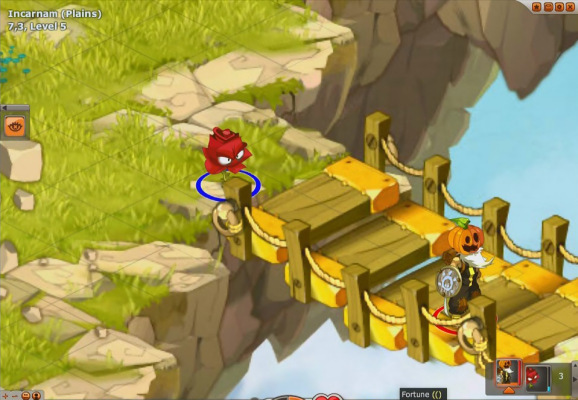 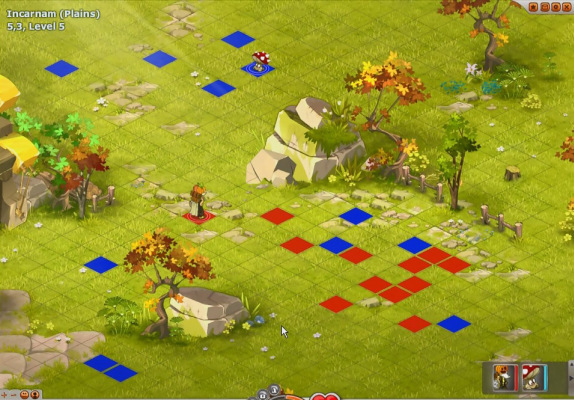 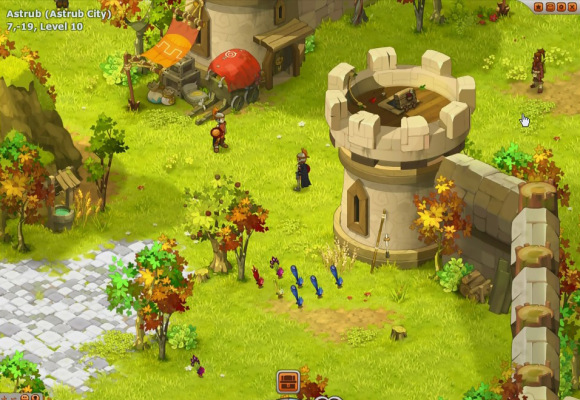 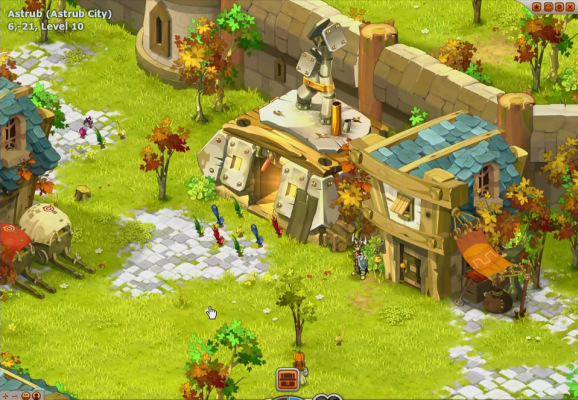 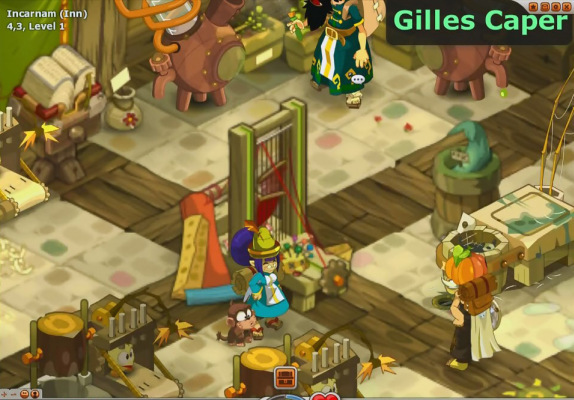 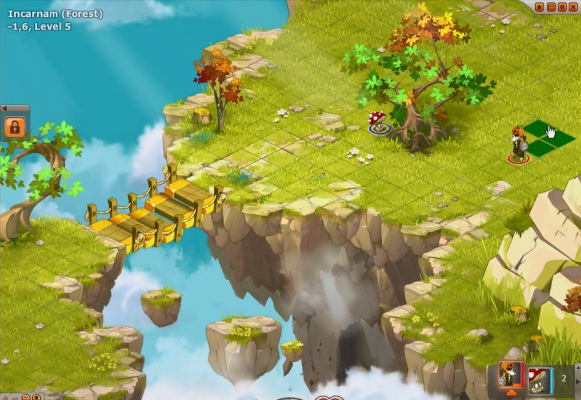 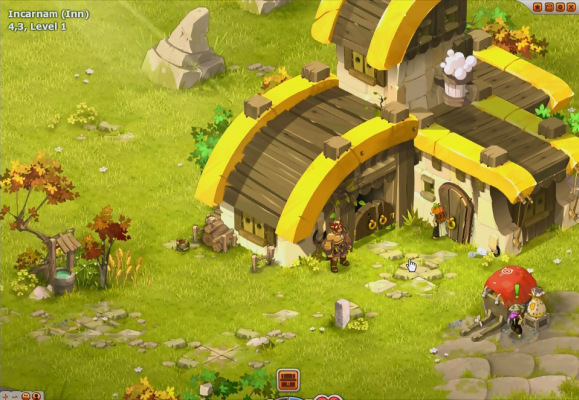 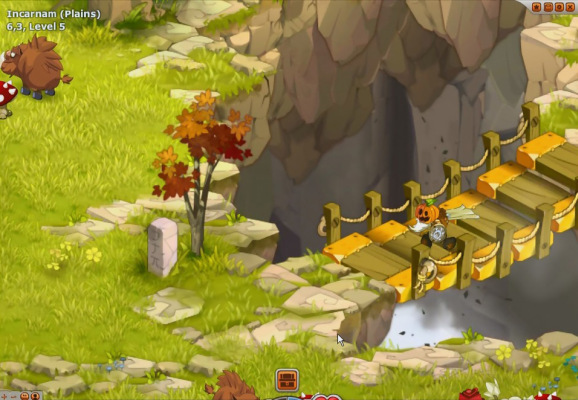 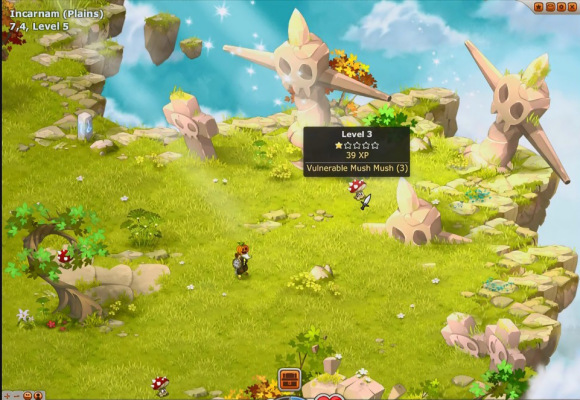 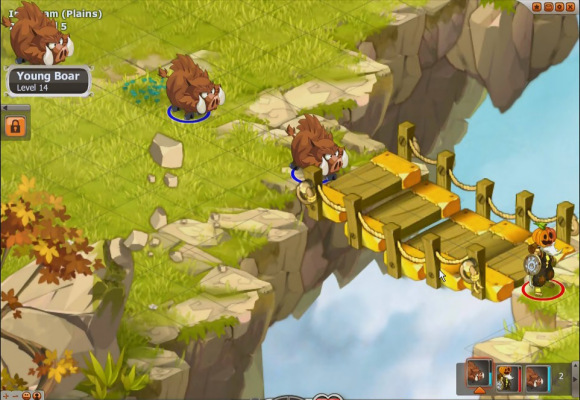 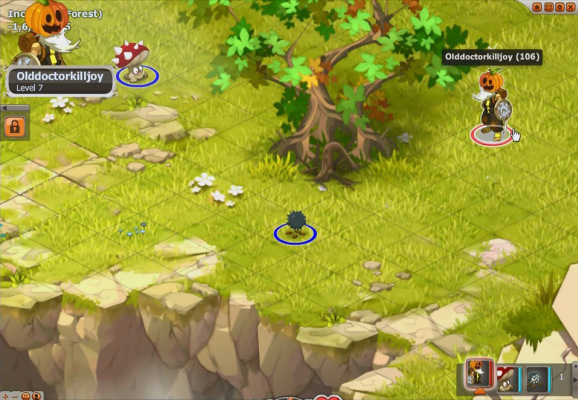 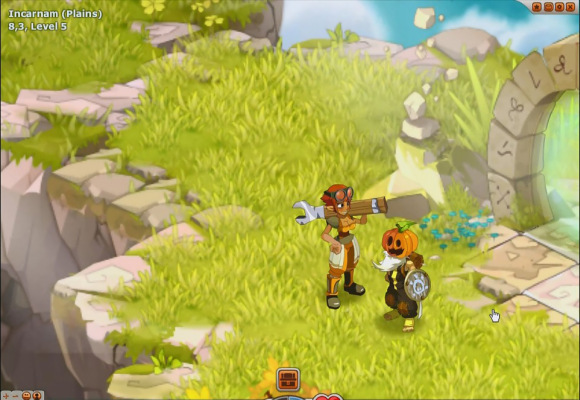 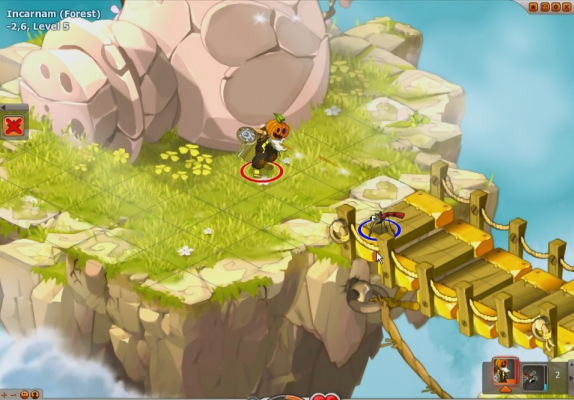 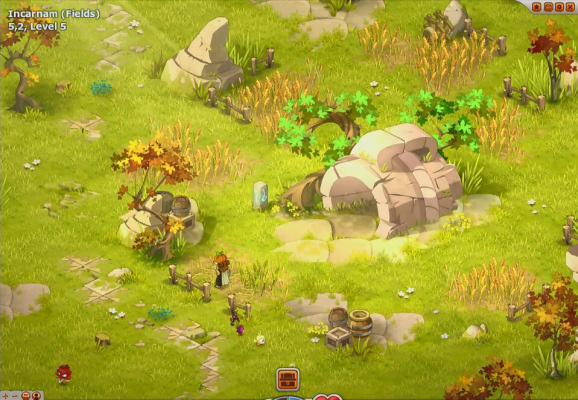 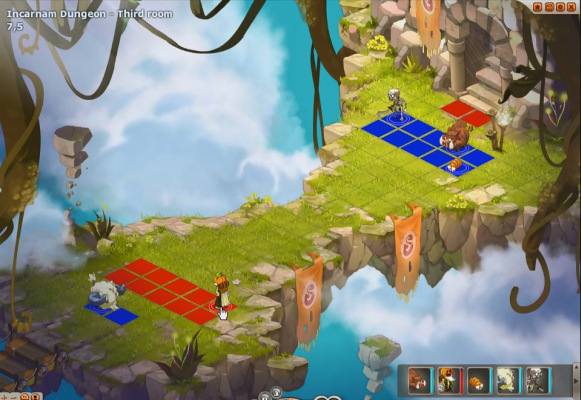 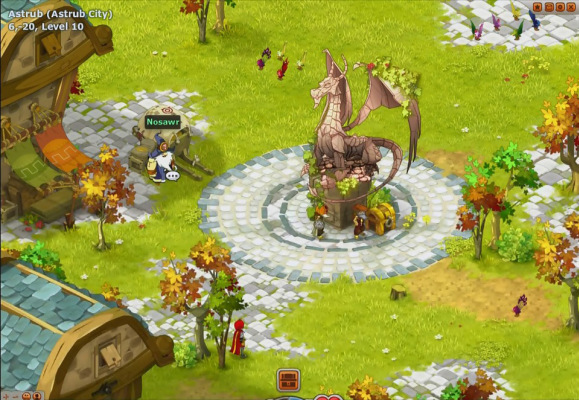 The game takes place in real time, combat in Dofus is conducted like a turn based game where each player takes it in turns to make a series of moves and attacks within a time limit. 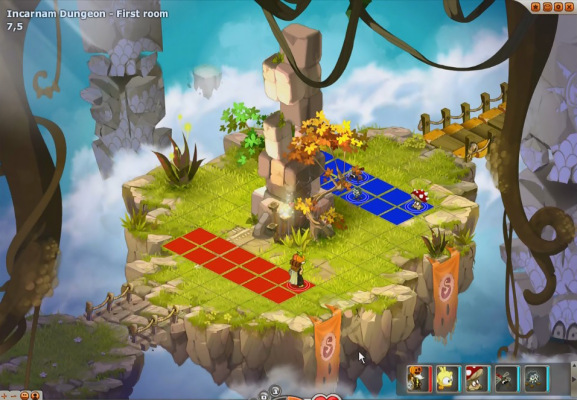 Like when a player attacks monsters they are transported to a ‘copy map’ where the fighting actual takes place. 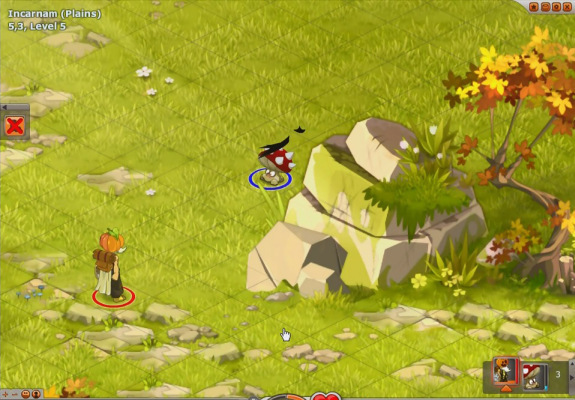 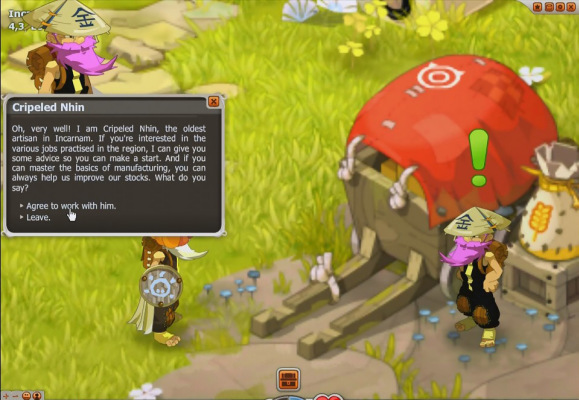 If you want a different MMORPG with a really weird sense of humor, you should give Dofus a try.